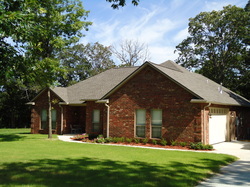 Built on site homes start out at any location within 30 miles of Ada, Ok at $71.00 / sq. ft.. to customer's expectations. Our experienced staff can also help home buyers with interior design as well.